Blue Lightning operates this area at the best time of the year between November and April and whether its your first time fishing or 100th with Blue Lightning the friendly crew will be close by willing to lend a hand. 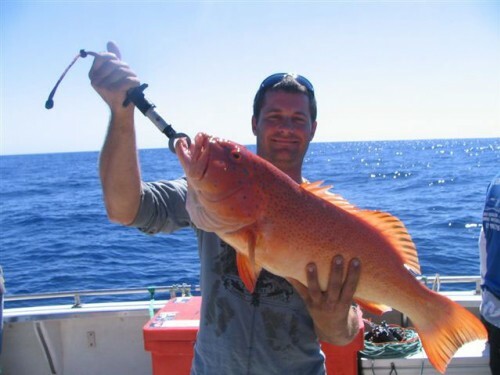 Species on this charter include WA Dhufish, Breaksea Cod, Pink Snapper, Red Snapper, Queen Snapper and Fox Fish. 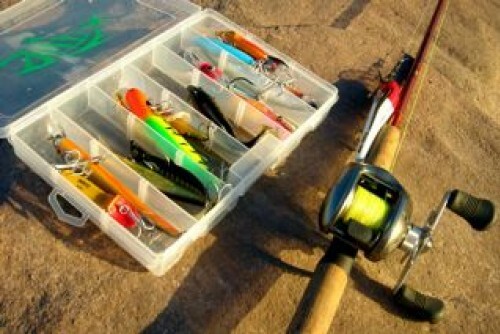 Inclusions: Rods, reels, bait and tackle, refreshments, lunch and soft drinks. We advise you bring something warm to wear, a hat and sunscreen, a camera and seasickness tablets if required. At Blue Lightning charters we use Blue Lightning, a 55ft Conquest charter vessel powered by a V10 820 Doosan engine. Blue Lightning was first launched in 1993 and named First Light and was originally sent to work as a crayboat out of Fremantle. Later in 2000 it was purchased by Captain Tony Merrutio and renamed Crustacea 3. 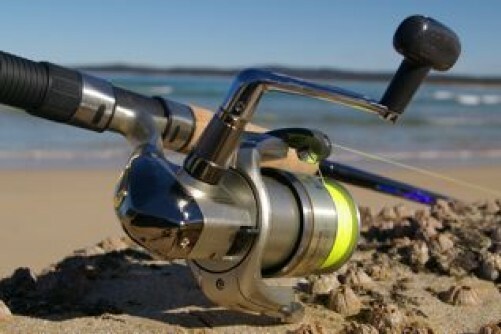 Tony cray fished the boat between Jurien Bay and Bunbury fishing 112 pots. At the end of the 2005 crayfish season Bill and Chad Mills purchased Crustacea and renamed her Blue Lightning III and thats not the only change they made. 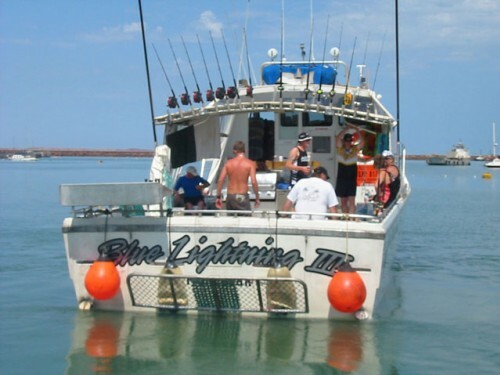 With 18 years knowledge of the charter industry between them they went to work setting Blue Lightning up into a very comfortable and practical charter vessel which now operates between Mandurah and Dampier.. The skipper Chad Mills has had his Master Class V Ticket since early 2004. Due to his parents owning Mills Charters in the early days he has been involved with the charter industry most of his life.